What is the Styrenics Europe Price Forecast Report? The ICIS Styrenics Europe price forecast report provides you with a 12 month view that explains and analyses the demand, supply and price trends in Europe’s domestic and import/export market, providing you with price insights into the European styrene and polystyrene markets. Watch Rhian discuss the latest market developments for July 2016. Why do you need the Styrenics Europe Price Forecast Report? Price volatility for styrenics is increasing, as a result market players may require more regularly updated price forecast information. Buyers and sellers can feel unconfident in contractual negotiations where they have no idea as to price movements over the short term. Traders or producers bringing styrenics into Europe can quickly find their profit margins erased by price movements, especially given the time duration to move volumes from Asia or North America, or the $/€ exchange rate. What does the Styrenics Europe Price Forecast Feature? 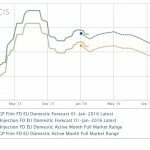 The ICIS Styrenics Europe price forecast report is concise, easy-to-read and highlights information you need to make confident commercial decisions within the European styrenics market. To discuss the methodology applied and to understand more about the forecasts, subscribers to the ICIS Styrenics Europe price forecast report can talk directly to the report author – ICIS analyst, Rhian O’Connor. Rhian O’Connor is a Senior Analyst in the Consulting and Analytics business at ICIS. She covers the styrenics markets as well as some propylene derivatives. She has analysed the European chemical industry for more than ten years, both in ICIS editorial department as a Senior Editor and prior to that in investment banking as a chemicals sector equity analyst. Why choose the Styrenics Europe Price Forecast Report?